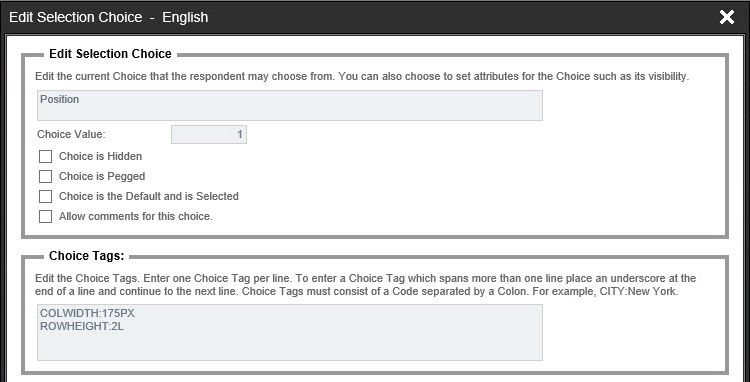 Release 4.03 of Web Survey Creator includes numerous speed and stability enhancements, together with more major changes as outlined below. 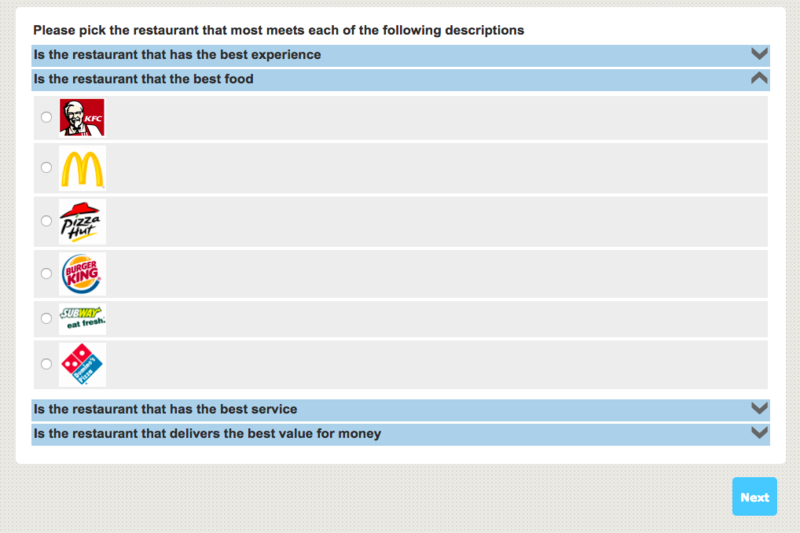 You now have the ability to show only the images for "Choices" on Choice and Matrix questions. This will allow participants to simply click the image to select the choice and makes the visual representation of the matrix more impactful. To use this feature simply set the Image Display Options on the question and choose "Hide Controls and Only Show Images (Where Applicable)"
You now have the ability to select from a number of options for downscaling of Matrix choice questions to Mobile devices. You also now have the ability to force the downscale options for matrix questions to be used for standard and tablet browsers too. 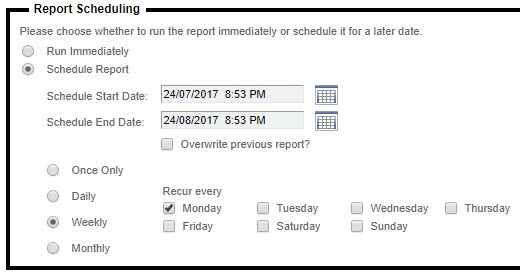 You now have the ability when creating reports to schedule the date and time to run, reoccurence and whether to email a link to the report once produced. 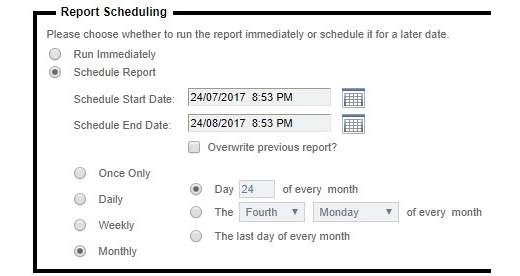 When creating a Text Grid question you can now choose to set the width of each column and the number of lines to be displayed in each text box. The width and height can be set for the entire text grid or individual columns. You can now choose from additional formats with sliders for the display of information. 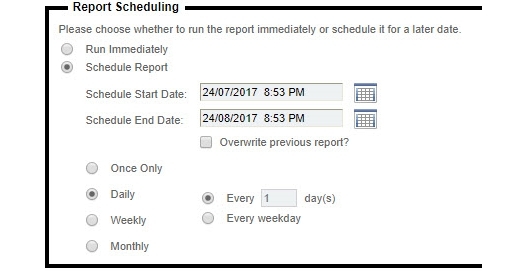 This will assist in them being more reflective of the data being requested.